The Dan Le Batard Show with Stugotz often produces some unconventional interviews and some behind–the–scenes commentary on ESPN’s dealings. On Friday, they managed both in a single segment. Le Batard was theoretically interviewing ESPN MMA reporter Ariel Helwani about Saturday’s UFC Fight Night 143, the first card on ESPN+ under the new contract the sides signed last May, but he repeatedly muted Helwani and turned it into more of a commentary on ESPN’s change of heart about MMA, with his producers wincing as he did so. Oh, and the whole thing got hijacked by Le Batard FaceTiming Tony Kornheiser mid-interview. And as he shows even in this interview, Helwani doesn’t tend to get too upset; he later tweeted that he probably won’t go on Le Batard’s show again, but his comments were pretty mild, all things considered. 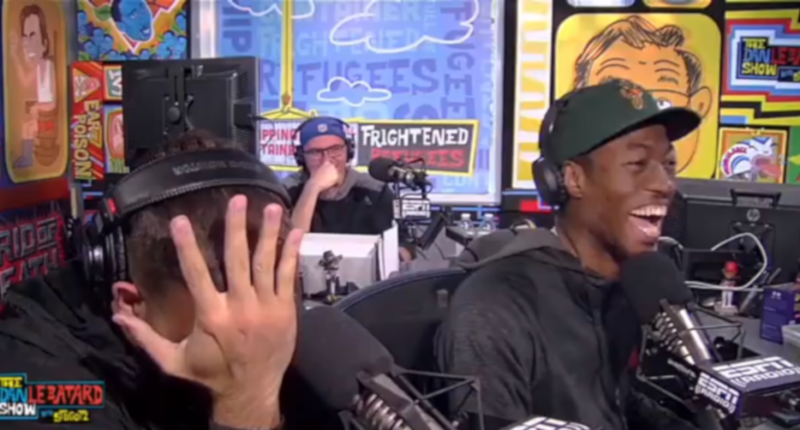 Of course, Le Batard’s handling of this really wasn’t the best. If he wanted to rant about MMA and about ESPN’s changing relationship to the sport, he could have easily done that without wasting Helwani’s time. (He may have received more attention by doing this with a famed MMA reporter on the line than he would have for just delivering these thoughts as a tangent, but it’s still not a great look.) But considering the history of the things Le Batard has done and the things he’s actually been punished for, it seems pretty unlikely that ESPN’s going to get too mad about this. White, on the other hand, might be less thrilled that his sport’s been described as “a damn sewer” on a rights partner. Even if that aligns him with a long-time adversary in Helwani. But on the other hand, Le Batard’s comments came on a ESPNU simulcast of a radio show, not exactly ESPN’s highest-profile platform, and there are plenty of people on ESPN who say favorable things about MMA and the UFC. It’s also not clear that any backlash from White would do much of anything here; ESPN tends to stand up for its employees under pressure from leagues, which, as Helwani noted last summer, is a significant difference from what happened with the UFC on Fox. So we’ll see if anything comes of this, but the bet from this corner is that this is just remembered as the latest in a long series of unusual Le Batard interviews/commentaries.